Traffic Increase Karne Ki Poori Jankaari Image Dwaara. 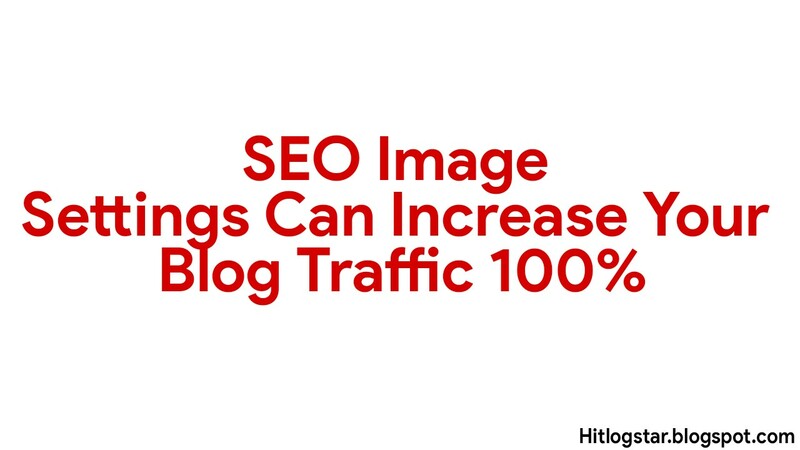 Waise Agar Traffic Ki Baat Ki Jaay To Sabse Jyada Traffic Hame SEO Se Hi Milta Hai Mai Aaj Apse SEO Se Related Charcha Karuga I Mean SEO Image Settings Ko Use Karke Traffic Kaise Increase Kare. SEO Image Setting Kya Hai? SEO Image Setting Me Hame Image Ko Apne Pist Ke Hisaab Se Modified Karna Hota Hai Jisme Hame File Change aur Kuchh Keywords Tagging Karna Hota Hai It Is Very Simple For SEO i Think Simple SEO Techniques Me Se Ek Hai Jo Traffic Increase Karne Me Helpful Hota Hai. 1. 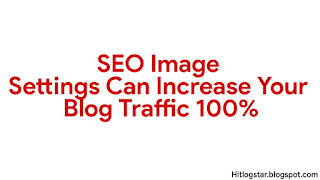 How Can Do Image SEO Settings and Get Traffic? Simply You Follow My Method So Mai Aapse Pahle Bata Du Iss SEO Settings Me Koi Bhi Hard Point Nahi Hai Bas Apko Simply Ek Image Ke File Ko Modified Karna Hai So You Can Follow Me. 2. Save It In Your File Manager. 3. Just Tap Image Name. 6. Upload In Your Blog And Click In Image and Tap Properties. 7. add Alt attribute Like Edited Image and Depending On Your Blog Post. 8. Add Caption and Write about Image In 5- 10 Words. Now You Complete This SEO Method. 2. SEO Image Settings Se Kya Fayda Hai? Isse Hone Wala Sabse Big Benefit Ki Google Kuchh Had Tak Apke Content Ko Jaldi Indexed Karta Hai Apne Search Engine Me Jante Hai Kya Fayda Hai Aur Kyu Fast Indexing Hoti Hai. Understanding Karne Me Thoda Time Lagata Hai Jaise Image Ko Aap Save Karte Hai To Uska Name Alag Ya Unknown Tarah Ka Hota Hai Jisse Google Ko Dikkat Jati But AgarApne Use Apne Topic Ke Hisaab Se Name Rakha Hai To Google Content Scan Me Turant Index Karta Hai. Lagate Ho To Un Keyword Se Bahut Faayda Hota Hai Jisse Jab Bhi Koi Reader Google Me Search Karega To Ho Sakta Hai Apje Keyword Se Match Khane Ke Karan Apke Blog Me Visit Kar Jaay Jisse Apko Organic Traffic Milegi. URL bhi Bhool Jata Hai Agar Aap Watermark Add Karenge Blog Me Vo Black Color Me Ya Background Ke Opposite Add Karenge To Unhe Vo Cheej Focus Ho Jaaygi Jisse Vo Aoke Blog Me Visit Karte Rahenge Jisse Traffic Rank Perfect Rahega. Alt Attribute-: Isme Aapko Image Ki Position Ki Likhni Hoti Hai Keyword Ki Tarah Jisse Page Ranking Improve Hoti Hai Ye Bahut Useful Hai Aur Google Bhi Ise Achcha Manta Hai. Captions-: Isme Aap Apne Image Ke Bare Me Batatae Hai Ki Apki Image Kis Topic Ke Liye Hai Isme Bhi Ya Iske Bare Me Keywords Add Karke Likhte Hai To Isse Bhi Rank Improve Hoti Hai Aur Google Me List Jo Hai Vo Good Rahti Hai. *Tata Sky Ki Top 6 Active Services Jo Apke Liye Hai. To Dosto Jis Cheej Ko Aap Normal Samajh Rahe The Vo Bahut Hi Best Hai SEO Ke Liye Image Normal Nahi Hoti Hai Aur Na Hi Blog Ke Liye Styles Matlab Styles Hoti Hai But Vo Traffic Ke Liye Bahut Hi Useful Hoti Hai Keep Happy Blogging.